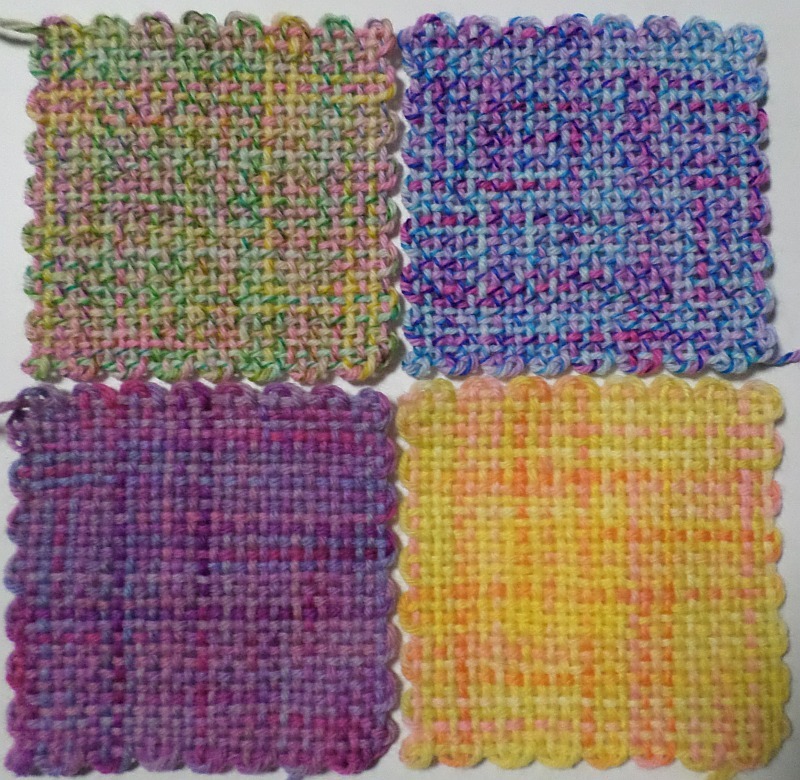 First, let me say I LOVE, LOVE, LOVE variegated yarn, but I think it looks best in plain weave squares. 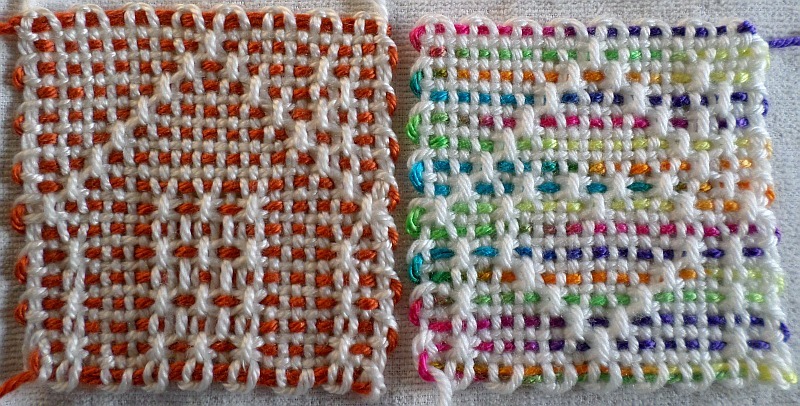 Variegated yarn tends to compete with the pattern. 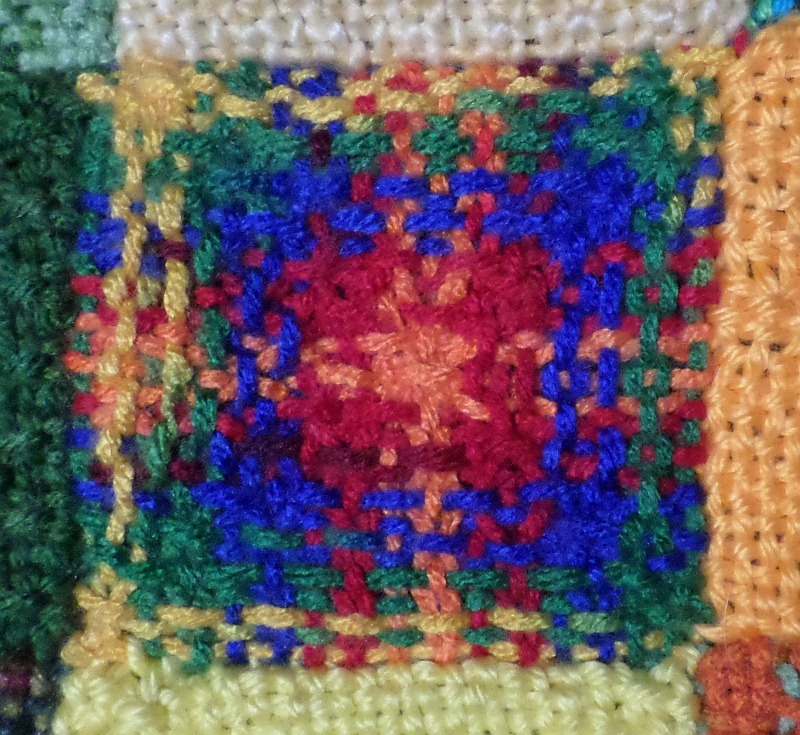 Even though there’s no white in the variegated yarn of the right-hand square above, the bright colors eclipse the cute pattern (house with a heart inside it). There are exceptions to this guideline. 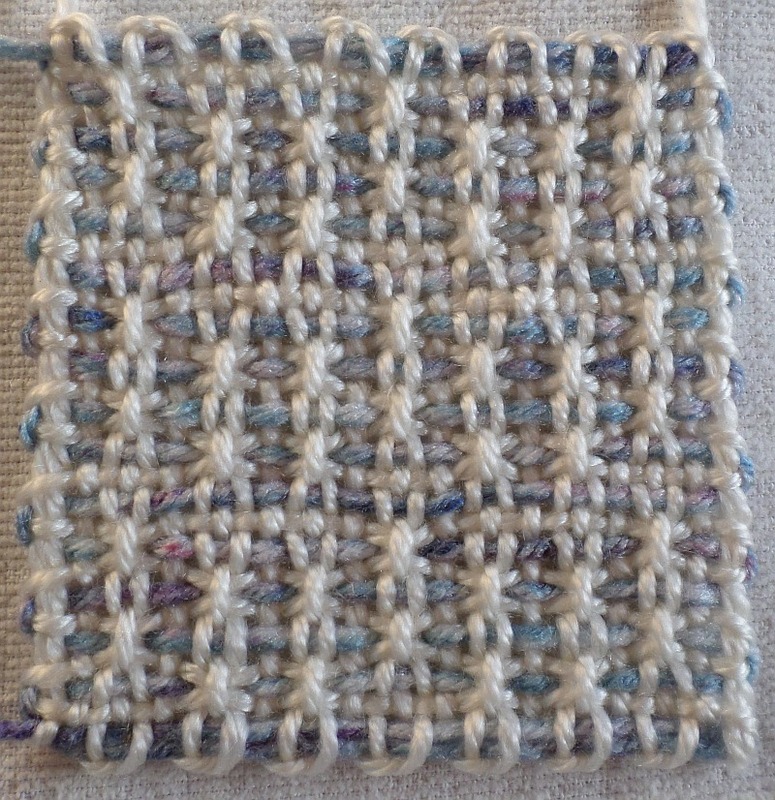 Variegated yarn that’s very subtle in its colors can make an effective background color. 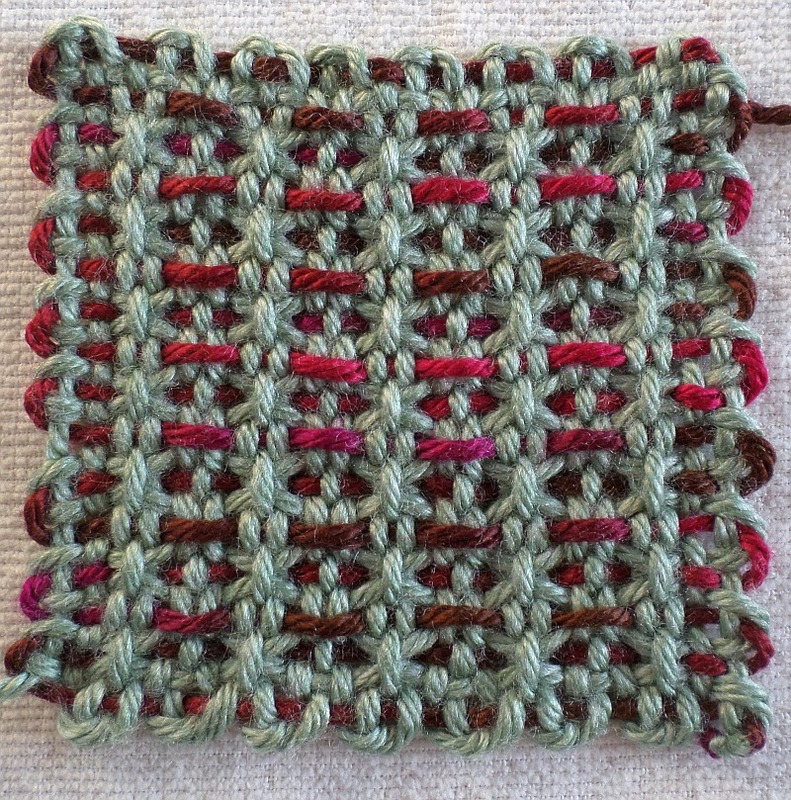 A variegated yarn that’s a complementary-color to your main color might make a pleasant contrast. I could post A LOT of examples of disastrous use of variegated yarn in patterned squares. I’ve made a lot of good examples too. In general, avoid variegated yarn, but if you want to use it, use yarn with subtle color changes and use it in a textured pattern rather than a figured pattern (a figured pattern being something like a tree or a house with a heart in it).